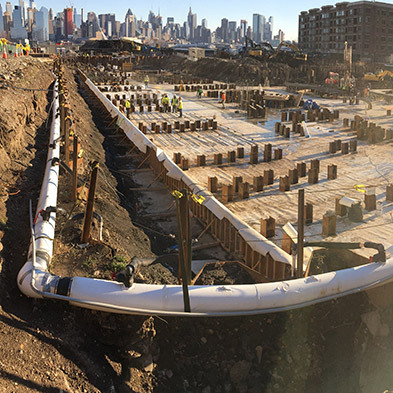 Our commercial construction dewatering project portfolio includes the Mid-Atlantic, Northeast, and New England markets, where our expertise is trusted and respected. We offer highly engineered system designs based on in-depth evaluations of each project’s plan and technical needs. We stand behind each design with the same level of commitment that ensures all subsurface work is completed on time and within budget. GWTT offers a full suite of services for designing, manufacturing, installing, upgrading, operating, maintaining, and troubleshooting systems for all commercial dewatering applications. Deep well systems, including gravity-fed and vacuum-assisted. See our portfolio of related dewatering projects.